With 30 years of experience in the heavy machinery moving industry, we have gained a reputation for providing top quality services in the field of dismantling, rigging, trucking, and the moving and assembly of heavy machines and equipment. Our highly efficient team of experienced riggers can handle all types of heavy machinery. We will gladly visit your facility to assess the size and shape of the machinery that you need to move and provide customized services to ensure that you are satisfied with our services. Bolton team members understand the value of each piece of equipment and will not compromise on the quality of the work they perform. We are committed to excellence in the handling of all machinery , paying close attention to time management , and keeping our client’s best interests in mind. Our riggers excel in completing their work professionally and efficiently. Our company strives to deliver exceptional performance and to show the utmost level of professionalism to our clients. Family owned and operated business with over 25 years of rigging experience. We supply our movers with all the tools and equipment to effectively move different types of heavy machinery. We pay careful attention to every heavy machinery and equipment moving service. We offer a variety of services to accommodate your needs. I have had the pleasure of working with Bolton Machine Handling for the past 15 years. Bobby and his staff are professional, talented and make their jobs appear effortless. I have recommended Bolton to our customers and they have always done an outstanding job. It’s nice to find a dependable and honest company to partner with. 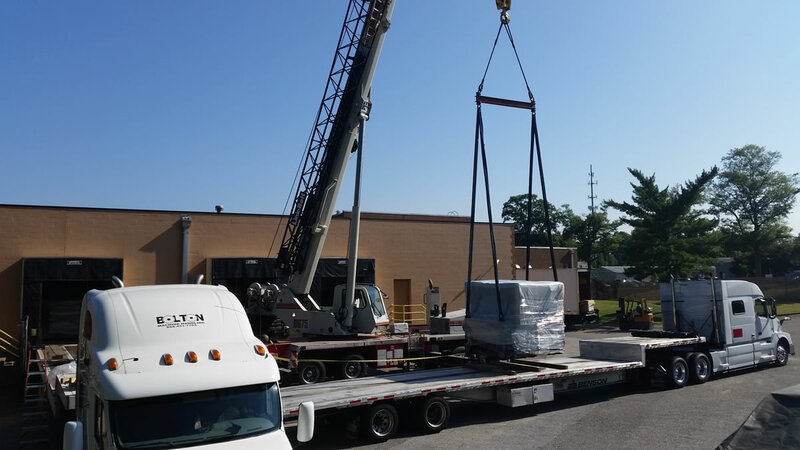 Charlie Parker-President, Parker’s Crane Service Inc.
Komori America Corporation has utilized Bolton Machine Handling for many years to rig our printing press equipment into our customer’s facilities both locally and across the region. Bolton Machine Handling has always provided a service to the level of professionalism not often seen in today’s competitive market. They are very knowledgeable of the equipment and have the experience to handle all our rigging needs. They are also responsive to our requirements and have completed all work in a timely manner being sensitive to our requirements. All equipment projects were completed on time per our schedule, all safety regulations were followed, and all costs were maintained within project budgets. 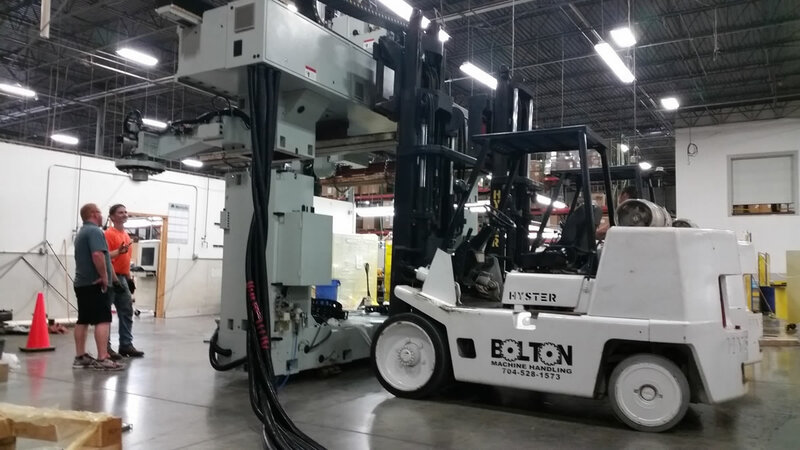 I would highly recommend Bolton Machine Handling for all equipment moves and will continue to use them for our equipment needs.